A New Year's Resolution That Makes Sense! Forget diets, exercise, saving money or spending more time with family… this year I’m doing things different, this year my resolution is to drink every day! That’s right, my goal for this year is to drink a different mixed drink every single day. It’s gonna take hard work, determination and dedication like I’ve never know but I think I can do it – this is my year, the Year Of The Drink! So I watched that movie, Julie & Julia, the other night about the chick who cooks her way through Julia Child’s cookbook in one year… got me thinking. 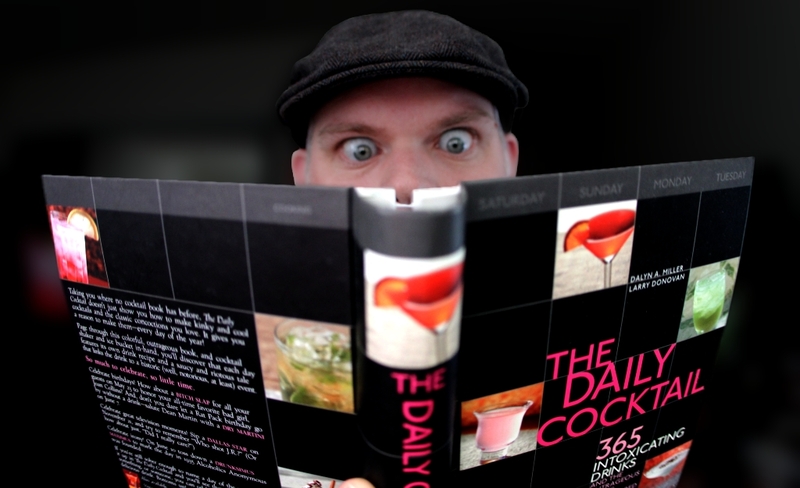 I’ve got a recipe book called “The Daily Cocktail: 365 Intoxicating Drinks” and with the new year right around the corner what could be a better resolution than drinking EVERY DAY? Talk about a no pressure resolution! If I succeed I will have kept a New Year’s resolution for the first time in my life… if I fail, well, not drinking every day is probably not such a bad thing either… it’s a win-win resolution!